Killing the Kriel warrior wasn’t a mistake. He would have just moved on his turn opening up the lane. 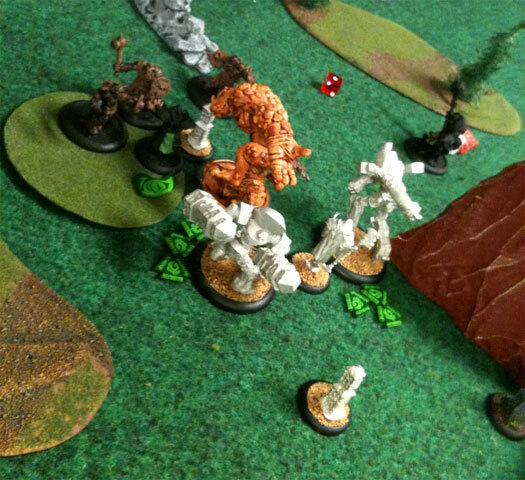 Using the fury to buy the attack may not have been wise, but honestly the EBDT was going to put Baldur down regardless. If he did it in one shot he’d certainly do it using both initial attacks plus all his fury. That’s a mistake we all make of course, particularly when we don’t know the other army. True, true. I need to learn to judge distances better, in general–I thought it was too far for the EBDT to reach me. I also specifically made for the Shifting Stone so I could have it blocking the charge lane, but didn’t think about the fact that you can charge the side.